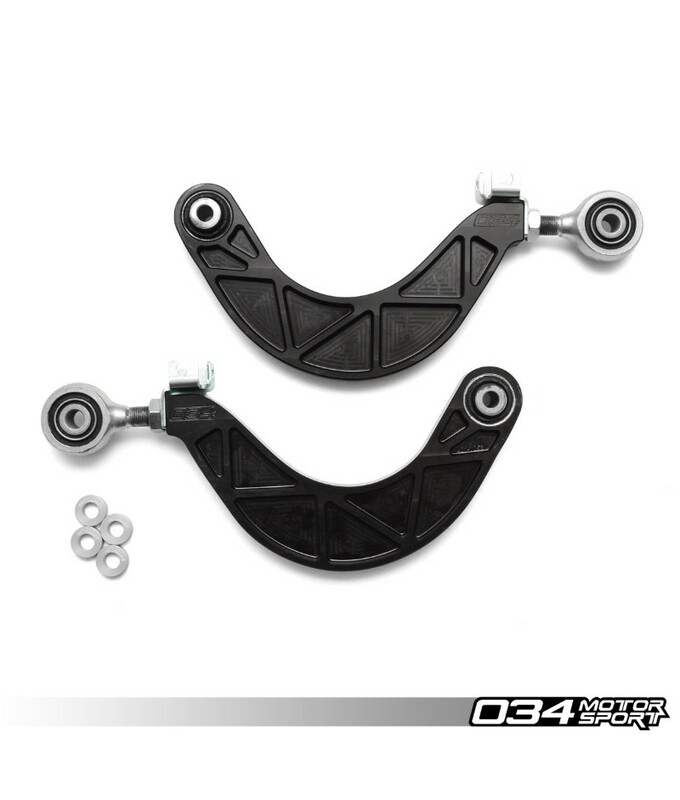 We’re proud to offer 034Motorsport Density Line Rear Adjustable Upper Control Arms for MkV/MkVI/MkVII Volkswagen and 8J/8P/8V/8S Audi applications! 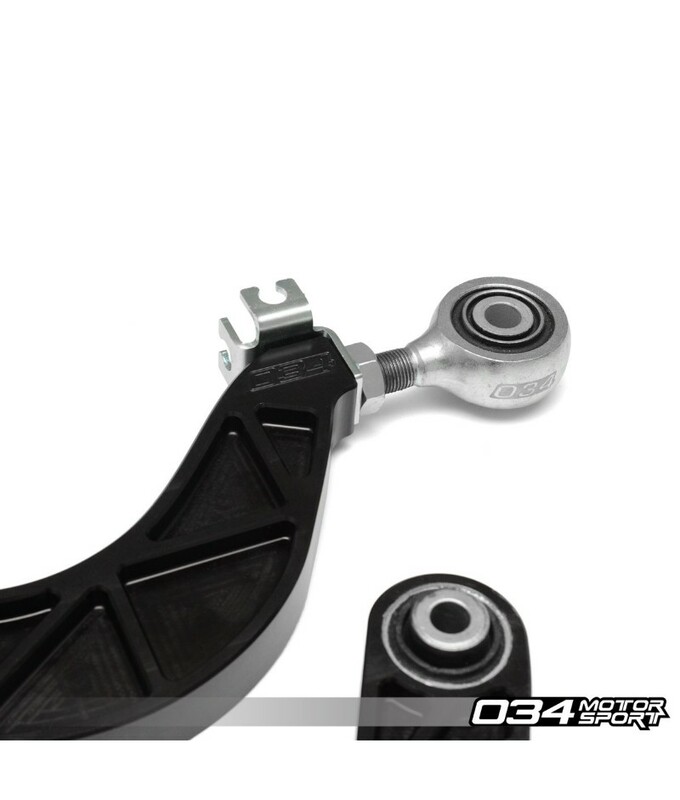 034Motorsport’s Density Line Rear Adjustable Upper Control Arms allow for simple and precise camber adjustments. Dialing in your alignment has never been easier! 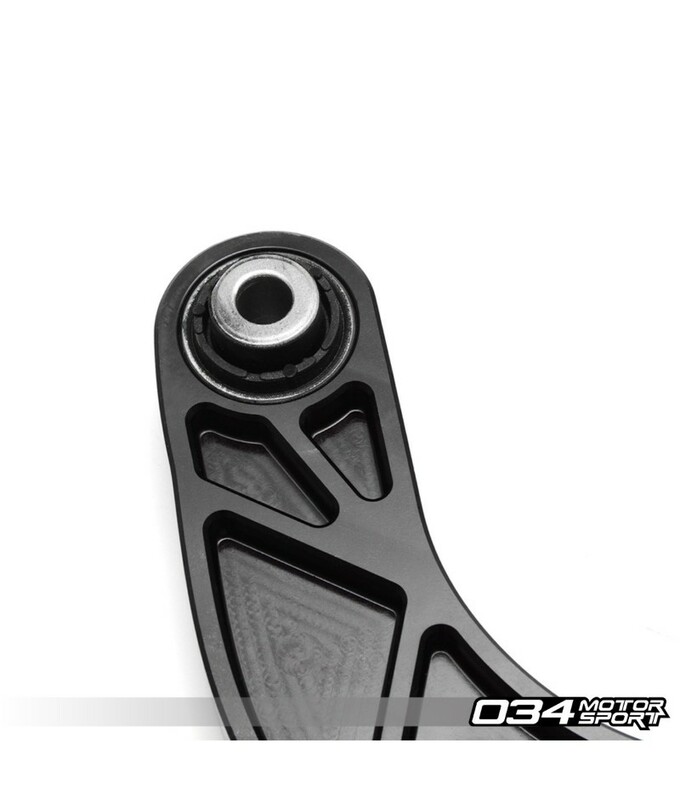 Constructed from billet aluminum, the arms are much more durable compared to the factory stamped steel arms. 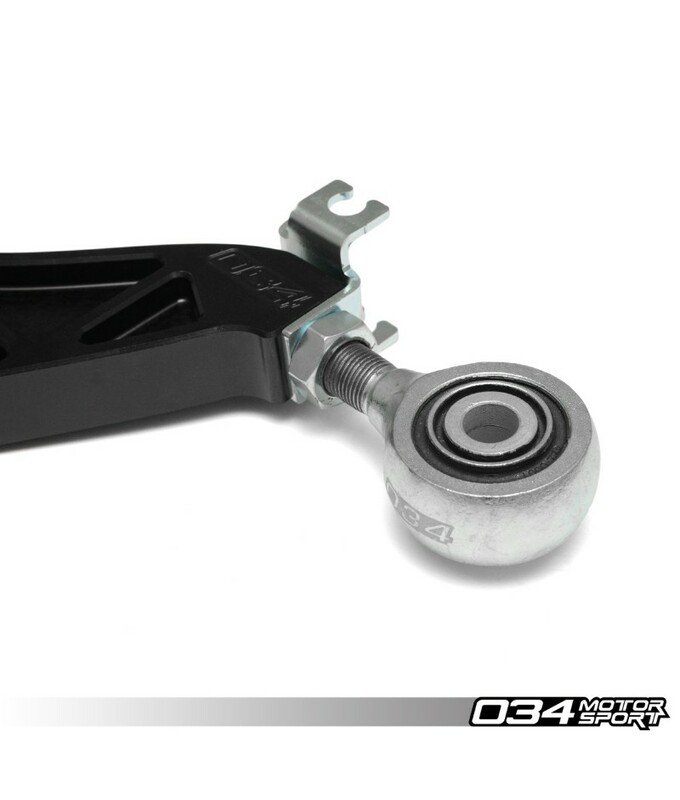 In addition, Density Line Rear Adjustable Control Arms feature a Forged Steel Threaded Rod End and 90 Durometer Rubber Bushings to ensure longevity and minimise deflection under load – ensuring that proper suspension geometry is maintained under all conditions.These arms are a direct replacement for the factory Rear Upper Control Arms and allow for approximately 5 degrees of camber adjustment beyond what the stock eccentric bolt allows. Adjustable in 1/36″ Increments. Each 1/36″ Corresponds to ~0.18 Degrees. 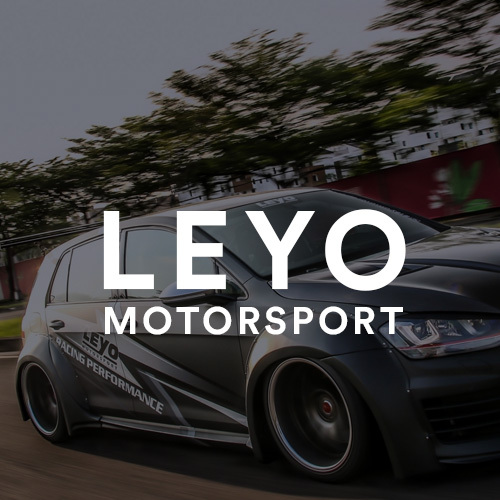 These arms are perfect for track junkies and the hellaflush crowd alike! 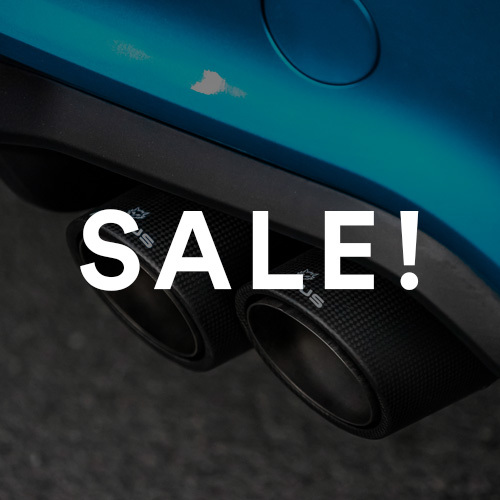 If you’re a track junkie, these arms will allow you to dial in your camber as desired for track events, and conversely, if you’re “hellaflush,” these arms will allow you to run hella negative camber. Please Note: Do not run these arms with less than 8 threads engaged in the aluminium body!